Seacombe United Reformed Church is committed to the safeguarding of children and adults at risk, and to ensuring their well-being. 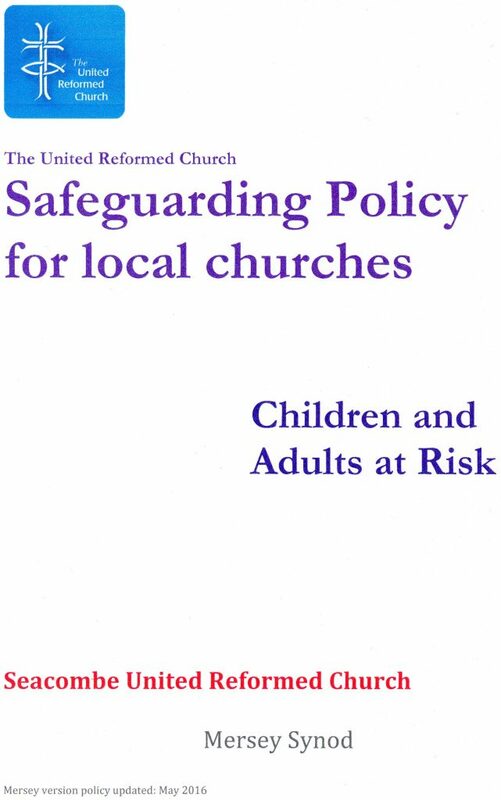 To this end the church has adopted a Safeguarding Policy to provide procedures for promoting safeguarding, preventing abuse and protecting children, adults at risk and staff. This includes clear procedures for taking appropriate action when safeguarding concerns are raised involving children and adults within our church, or those who attend our activities and events. This policy is approved and endorsed by the Elders on behalf of the Church Meeting. We have a duty of care to all beneficiaries of the church, whether adults or children. We will maintain confidentiality at all times, except in circumstances where to do so would place the individual or another individual at risk of harm. We have appointed two Safeguarding Coordinators to whom all concerns or allegations should be addressed, and who work in close contact with the Mersey Synod Safeguarding Officer.